You might jump right in with, “Bernie Sanders said that!” But if you did, you’d be wrong. Although this quote is often attributed to Senator Sanders, it actually appeared in the August 4, 2011, edition of the Valley News, a New England regional newspaper. It was written by the paper’s editorial staff, not Sanders. Why does this matter? Because publications across the conservative and right-wing internet are using this quote to show that Bernie Sanders is a Marxist who believes that America would do better with Venezuela-style socialism than with the democratic republic social and economic system we use here in the U.S. And because Bernie Sanders allegedly said (and believes) that, it naturally follows that everyone on the American left believes the same thing. Hugo Rafael Chávaz Frías was born in 1954 into a working-class family. After becoming dissatisfied with the Venezuelan political system, he founded the Revolutionary Bolivarian Movement-200 in the early 1980s. He led an unsuccessful coup against then-president Carlos Andrés Pérez in 1992 and was imprisoned as a result. Chávez was released two years later and founded a political party known as the Fifth Republic Movement. Chávez was elected president of Venezuela in 1998, 2000, and 2006 with more than 60 percent of the vote. During his presidency, he used the Bolivarian model to nationalize industries and implemented social programs to expand access to food, housing, healthcare, and education. Chávez was elected president again in 2012, but at the time he was recovering from cancer treatment in Cuba. Before he could finish his fourth term, he died on March 5, 2013, at the age of 58. 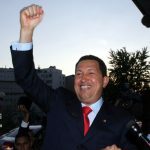 The truth, as pointed out by Jack Staples-Butler in Quillette, is that Sanders neither wanted nor sought any endorsements from anyone involved in what is known as “Bolivarian socialism”—a system that uses wealth confiscation and state seizure of private property in pursuit of a socialist state modeled on Fidel Castro’s Cuba. Staples-Butler searched the Congressional Record for any quotes by Senator Sanders endorsing Venezuela, and he found none. The closest thing he came to any Venezuela discussion was the introduction of an unsuccessful Senate bill to fund the Low Income Home Energy Assistance Program (LIHEAP)—and even then, the word “Venezuela” was spoken by Senator Judd Gregg of New Hampshire, who was talking about U.S. energy dependence and the need to expand domestic drilling. 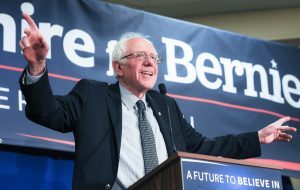 In fact, really, the only thing Bernie Sanders has done that relates to Venezuela at all is to work with New Hampshire, Maine, and Massachusetts in 2005 and 2006 to negotiate a trade deal with CITGO, the Venezuelan state oil company, that included the discounted purchase of home heating oil. While that program did attract some negative scrutiny at the time and in hindsight as well, “The only thing being imported into the U.S. was heating oil, not ideas,” Staples-Butler writes. As usual, the right is using incorrectly attributed statements—or worse yet, incorrectly attributed statements, taken out of context—to cast Sanders and his supporters as radical leftists who think a Bolivarian socialist model is the way America should go. Bernie Sanders has never once endorsed, praised, or visited Venezuela, and although we do live in a post-truth society, facts matter. Let Bernie Sanders stand on the facts of his political record, not hyperbolic half-truths that are twisted to create an image of a man who wants to destroy America.